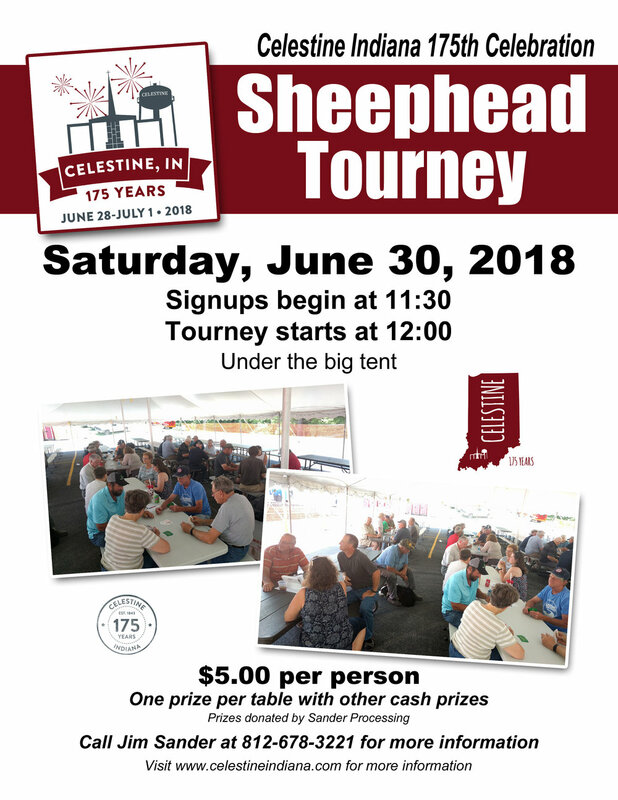 Be sure to spread the word about the wonderful Sheephead Tourney being held at the Celestine 175th on Saturday June 30th. Signups begin in the main tent at 11:30am with games to begin at 12pm. Call Jim Sander at 812-678-3221 for more information. Event is sponsored by Sander Catering who are providing prize per table!